Purpose: Obesity is one of the most important late effects that seen in survivors of childhood acute lymphoblastic leukemia. In this literature review, it is aimed to determine frequency of obesity in survivors of childhood acute lymphoblastic leukemia and characteristics of survivors. Materials and Methods: Review of the literature was made on Pubmed and Wiley Interscience and 13 studies were examined that conducted between 2003 and 2013. Results: Frequency of obesity in survivors is between 4.6% and 38.2%. The prevalence of obesity showed increases in female and survivors treated high dose cranial radiation therapy and survivors with long-term steroid exposure. Conclusion: It was shown that obesity is the most common late effects in survivors and there has been many late effects such as growth and development problems, cardiac anomalies, hypertension with obesity. Amaç: Obezite, akut lenfoblastik lösemi tanısı sonrası sağkalan çocuklarda görülen en önemli geç yan etkiler arasındadır. Yapılan bu literatür derlemesinde, çocukluk çağı akut lenfoblastik lösemisinden sağkalanlarda obezite görülme sıklığının ve sağkalanların özelliklerinin belirlenmesi amaçlanmıştır. Materyal ve Metot: Pubmed ve Wiley Interscience veri tabanları taranarak 2003-2013 yılları arasında yapılmış 13 çalışma incelenmiştir. Bulgular: İncelenen çalışmalarda çocuklarda obezite görülme sıklığının %4.6 ile %38.2 arasında değiştiği belirlenmiştir. Yüksek doz kranial radyoterapi alanlarda, uzun süreli steroid maruziyeti olanlarda ve kız çocuklarında obezite prevalansında artış saptanmıştır. Sonuç: Obezitenin, sağkalanlarda en yaygın geç etkilerden olduğu ve obezite ile beraber büyüme gelişme problemleri, kardiak anomaliler ve hipertansiyon gibi birçok yan etkinin görüldüğü belirlenmiştir. Karaman S. Pediatrik Onkolojide Tedaviye Bağlı (endokrin) Geç Yan Etkiler. Klinik Gelişim 2007; 20(2); 218-227. Pizzo P. and Poplack D. Principles and Practice of Pediatric Oncology. Lippincott Williams & Wilkins, 2006. Gregory JW, Reilly JJ. Body Composition and Obesity. In: Wallace WH, Green DM, eds. Late Effects of Childhood Cancer. London, United Kingdom: Arnold, 2004; 147-161. Dickerman J.D. The Late Effects of Childhood Cancer Therapy. Pediatrics 2007; 119: 554-568. Oeffinger KC, Mertens AC, Sklar CA, et al. Obesity in Adult Survivors of Childhood Acute Lymphoblastic Leukemia: A Report From The Childhood Cancer Survivor Study. J Clin Oncol 2003; 21: 1359-1365. Chow E.J, Pihoker C, Hunt K, Wilkinson K., Friedman D.L. Obesity and Hypertension Among Children After Treatment for Acute Lymphoblastic Leukemia. CANCER 2007; 110 (10): 2313-2320. Nathan P.C., Wasilewski-Masker K., Janzen L.A. Long-term Outcomes in Survivors of Childhood Acute Lymphoblastic Leukemia. Hematol Oncol Clin N Am 2009; 23: 1065-1082. Ross JA, Oeffinger KC, Davies SM, et al. Genetic Variation in The Leptin Receptor Gene and Obesity in Survivors of Childhood Acute Lymphoblastic Leukemia: A Report From The Childhood Cancer Survivor Study. J Clin Oncol 2004; 22 (17): 3558-62. Skoczen S., Surmiak M., Strojny W. Survivors of Acute Lymphoblastic Leukemia and Body Mass Changes. Expert Opin. Drug Saf 2010; 9(1): 65-77. Jarfelt M, Lannering B, Bosaeus I, Johannsson G., Bjarnason R. Body Composition in Young Adult Survivors of Childhood Acute Lymphoblastic Leukaemia. Eur J Endocrinol 2005; 153: 81-89. Iughetti L. Obesity in Patients with Acute Lymphoblastic Leukemia in Childhood. Italian Journal of Pediatrics 2012; (38)4: 1-11. Garmey E.G, Liu Q, Sklar C.A. et. al. Longitudinal Changes in Obesity and Body Mass Index Among Adult Survivors of Childhood Acute Lymphoblastic Leukemia: A Report From the Childhood Cancer Survivor Study. J Clin Onco 2008; 26: 4639-4645. Trimis G, Moschovi M, Papassotiriou L, Chrousos G., Stathopoulou F.T. Early Indicators of Dysmetabolic Syndrome in Young Survivors of Acute Lymphoblastic Leukemia in Childhood as a Target for Preventing Disease. J Pediatr Hematol Oncol 2007; 29: 309-314. Asner S, Ammann R.A, Ozsahin H, Beck-Popovic M., N.X.Von Der Weid. Obesity in Long-Term Survivors of Childhood Acute Lymphoblastic Leukemia. Pediatr Blood Cancer 2008; 51: 118–122. 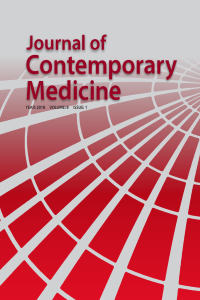 Breene RAL, Williams R.M, Hartle J, Gattens M , Acerini C.L., Murray M.J. Auxological Changes in UK Survivors of Childhood Acute Lymphoblastic Leukaemia Treated Without Cranial İrradiation. Br J Cancer 2011; 104: 746-749. Veringa S.J.E, Broeder E.D, Kaspers G.J.L., Veening M.A. Blood Pressure and Body Composition in Long-Term Survivors of Childhood Acute Lymphoblastic Leukemia. Pediatr Blood Cancer 2012; 58: 278-282. Maffeis C, Tato L. Long-Term Effects of Childhood Obesity on Morbidity and Mortality. Horm Res 2001; 55: 42-45. Aldhafiri F, Al-Nasser A, Al-Sugair A, Al-Mutairi H, Young D., Reilly J.J. Obesity and Metabolic Syndrome in Adolescent Survivors of Standard Risk Childhood Acute Lymphoblastic Leukemia in Saudi Arabia. Pediatr Blood Cancer 2012; 59: 133-137. Szymon S., Bık-Multanowskı M., Balwıerz W. et al. Homozygosity For The Rs9939609t Allele Of The FTO Gene May Have Protective Effect On Becoming Overweight in Survivors of Childhood Acute Lymphoblastic Leukaemia. Journal of Genetics 2011; 90(2): 365-368. Karakurt H, Sarper N, Kılıç S.Ç, Gelen S.A., Zengin E. Screening Survivors of Childhood Acute Lymphoblastic Leukemia for Obesity, Metabolic Syndrome, and Insulin Resistance. Pediatr Hematol Onco 2012; 29: 551-561. Haddy T.B, Mosher R.B., Reaman G.H. Late Effects in Long-Term Survivors After Treatment for Childhood Acute Leukemia. Clin Pediatr 2009; 48 (6): 601-608. Pakakasama S., Veerakul G., Sosothikul D. et al. Late Effects in Survivors of Childhood Acute Lymphoblastic Leukemia: A Study from Thai Pediatric Oncology Group. Int J Hematol 2010; 91: 850-854.